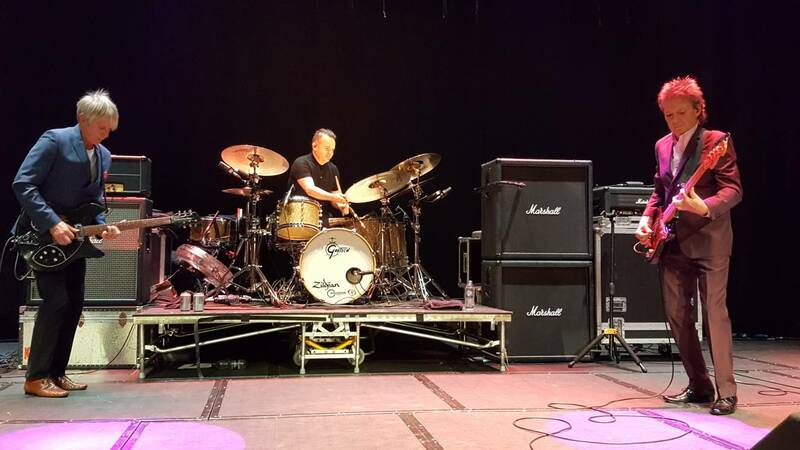 Went to see them last night in my home town, the Bedford corn exchange. Not been to many gigs there - they mostly only seem to have the odd tribute band on. Although Hugh came once for the Hooverdam tour. That was very bad with only about 15 people just sat there watching and not moving. Hugh's never been back since. I don't blame him. But last night a full house for mr Foxton and his band. Only me there with a Stranglers t shirt on ! 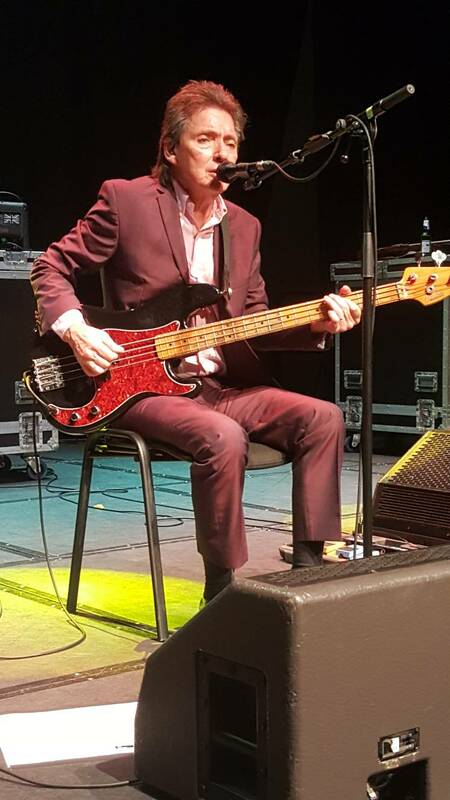 But a few people commented and said " see you in Cambridge next March", which was nice..
Bruce Foxton has still got it, looking and sounding great. They played the whole of All Mod Cons and then most of their other hits, finishing with Going Underground. Perhaps one newish song in there, that I didn't recognise. Saw them at Guilfest once and they were great. I can't believe Hugh had that few people did he? 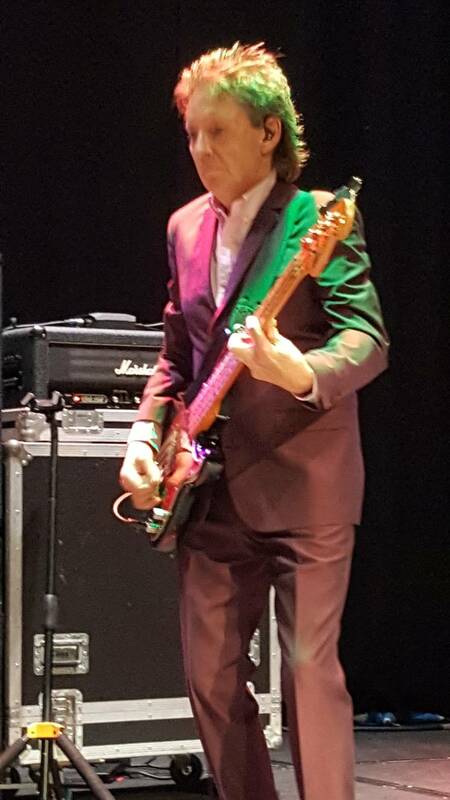 I've just got back from the Brighton gig and it was packed. both have the same kind of sound obviously. JJ has maybe had that extra dimension of "quirkyness", which is unique to him. Both have a distinguished stage presence which you only get with time. It was discussed about 40 years ago , for a while . Well, you know, some of us weren't around 40 years ago to hear the discussion. If you want to discuss it, then do. If not, don't waste your time with the fatuous posts. Wasn't fatuous - just saying it was a popular subject for a couple of years around 77-78 , just pointing that out , nothing more , nothing less.......knobhead . The history of JJ v Foxton . Around 77-82 both The Jam and The Stranglers were very popular , this sort of played out not only in singles charts but also NME and Sounds year best of polls . Hugh never really featured but JJ and Foxton were always top 2 in any bass player poll .JJ won the early ones but The Jams then huge popularity won Foxton the later polls . Wasn't really about who was really the best but who had most fans , the Jam usually got best band over The Stranglers due to the fans of neither preferring The Jam .......probably a far less controversial band at the time . Incidentally DG usually won best keyboards hands down . Who was best ? I'd vote JJ and Stranglers but I'm biased , they were different styles . I never said I didn't want to discuss Oz , just a very old topic long forgotten.